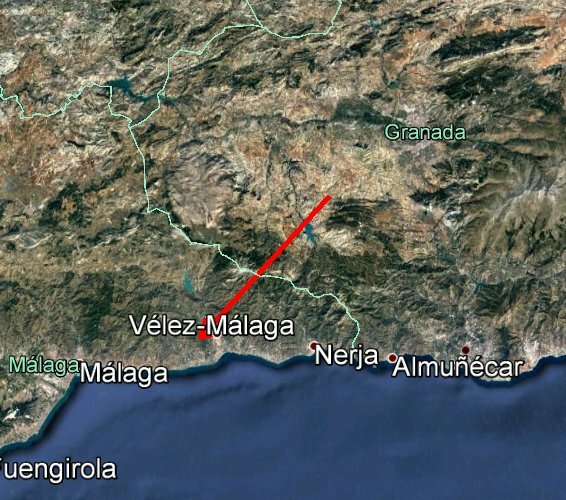 At 4:42 local time (2:42 UT) of August 6th 2016, SMART Project detectors had registered a fire ball that flew over Granada and Málaga provinces. 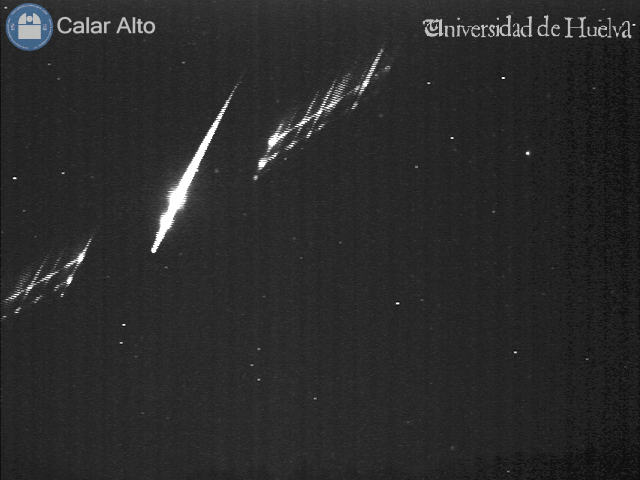 The analysis carried out by the SMART Project PI José María Madiedo (University of Huelva), points that this fireball was generated due to the impact with our atmosphere of a Perseid meteoroid.The fireball started at an altitude of about 126 km over Granada province,moving southwestward and having a final altitude of about 72 km over Málaga province. The event was recorded from fireball detection station that SMART Project operate at Calar Alto, La Sagra, La Hita, Sevilla and Huelva. Below are the videos taken with the fireball detection station and the surveillance webcam, both placed at Calar Alto Observatory. Calar Alto (CAHA) fireball detection station, together with the one at the Observatory of Sierra Nevada (IAA-CSIC) and others placed at different locations in Spain, are part of the S.M.A.R.T. project led by Professor José María Madiedo (University of Huelva) to track that kind of objects. Specifically, Calar Alto (CAHA) station and the one at Sierra Nevada (IAA-CSIC) constitute a collaboration agreement between Professor Madiedo and both institutions.